The console-based yafc client gives users a convenient, simple, and interactive approach to exchanging data with ftp and SSH servers. Although most Linux distributions typically include an ftp program, it is likely to be less than intuitive. And the same thing can be said about the web-based ftp solutions offered by various providers. Modern desktops like Gnome or KDE include ftp extensions that support drag and drop, but they are of little use if you need to set the permissions for the files on the server, and they do not lend themselves to scripting. The yafc ftp client  (Yet Another Ftp Client) might be slightly older – and console based, like ftp – but it also offers more options and is more convenient to use (Figure 1). 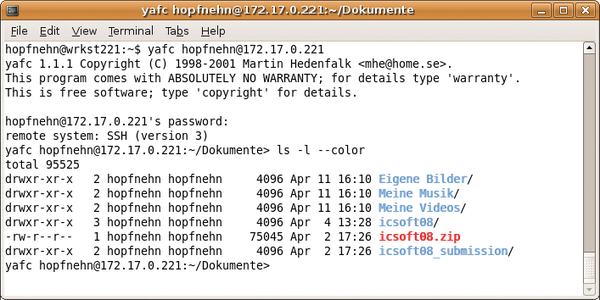 Figure 1: The console-based yafc ftp client supports text commands rather than mouse signals. On Ubuntu, you can sudo apt-get install yafc to install the tool on your hard disk. SUSE has version 1.1.1 as a binary package, and you can run the package manager to install it. If the distribution of your choice does not include yafc, you will find the source code for a build-it-yourself version on the project website. The most useful options here include -a for anonymous access (which the server needs to support) or -q to suppress the welcome text. Typing yafc -h displays a full list of options. If you do not specify the protocol, yafc will default to ftp://. Alternatively, the client also supports encrypted ssh:// communications (see Figure 2). Figure 2: Yafc supports ftp-based data transmission and can also handle encrypted SSH connections. The server at the other end will need to be an SSH server rather than an ftp server in this case. In contrast to ftp, the advantage is that cleartext passwords are not sent. Besides the protocol, you can also omit the username. Yafc will then supply your local username. The -u option suppresses this default behavior, and then yafc will prompt you to enter a username. In addition to the username, you can type a password for your account on the server with a colon as the separating character. For security reasons, this is only recommended for automated scripts – or situations in which you are sure that nobody is shoulder surfing. Although you must type the server name, the port is not required unless the server at the other end uses a non-standard port. If needed, you can specify the directory on the server in which you want yafc to start working. 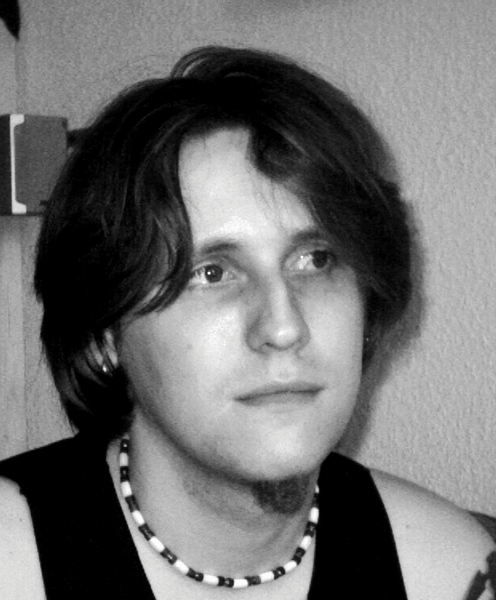 opens an SSH-encrypted connection to the server at 172.17.0.221 for the user hopfnehn. Then the server prompts the user for the password and grants the ftp client to the /documents directory. tells yafc to open another connection parallel to the existing one. To toggle between the two connections, you can type the switch command in interactive mode. at the yafc command-line prompt opens connections to the required servers. After opening a connection, yafc switches to interactive mode, from which you can type commands to transfer files. Several commands are available for this, and they also support navigating the server and client directories. Just like the familiar shell command, ls lists the current server directory, cd directory changes to another directory, and pwd tells you your current working directory (Figure 3). To run these commands locally instead of on the server, just type an exclamation mark before the command. To get a list of commands, enter help. Figure 3: In interactive mode, yafc behaves almost like a shell and even supports color highlighting (--color) and detailed information (-l). The put command transfers a file from the client to the server, and get retrieves a file from the server and stores it on the client. Yafc might prompt you before overwriting existing files or directories. One big advantage over other console-based ftp programs is yafc's ability to recursively transfer directories. The put -r test/ command not only copies the test directory to the server, but also all the files and subdirectories below it. If needed, recursion in combination with get helps users create complete backup copies of their server data. After exchanging data, you can close your connection(s) with the close command and quit yafc by typing exit. Console-based ftp clients are the tool of choice for manual or scripted file transfers for large numbers of files. Yafc, as one of the most convenient representatives of this species, has far more in the line of functionality to offer than the standard ftp client. Besides the options I looked at here, it also supports proxies or NOHUP data transmissions, during which transmission continues despite the user logging off – as long as the computer is running. Hagen Höpfner is an Assistant Professor for databases and information systems at the International University in Germany (http://www.i-u.de) at Bruchsal. He has written, co-written, and published a number of text books and research papers. In his free time, Hagen writes lyrics, composes songs, sings, and plays guitar. FTP and NcFTP are both FTP clients for the command line. While FTP only has basic file transfer functionality, NcFTP has a whole bunch of additional features. features such as secure file transfer with SSH. The free vSphere Hypervisor 5.0 lets companies enter into professional virtualization without the overhead of a commercial solution. If you decide you need additional enhancements later, you can always upgrade to enhanced VMware solutions.